Guided by the national curriculum, students learn core content in Language Arts, Math, Science, Social Studies, Physical Education, Computer Studies and Values Education, within an integrated model. 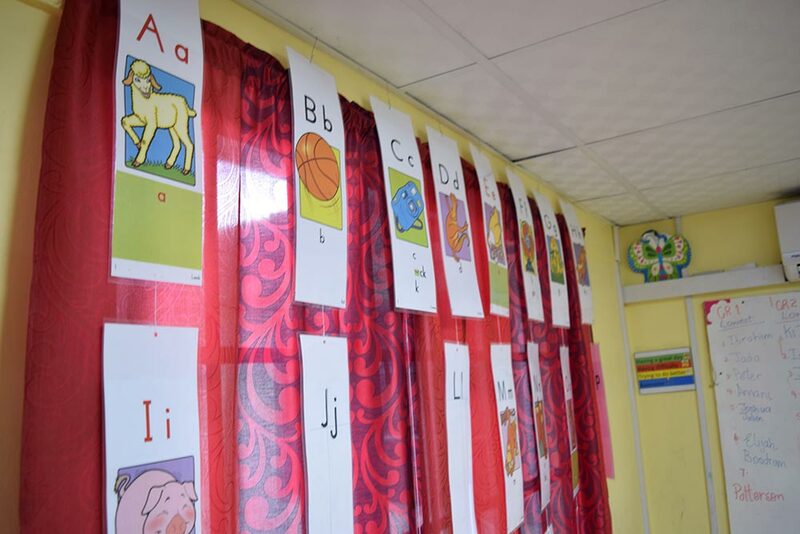 Particular attention is paid to decoding and comprehension skills to support every subject area. 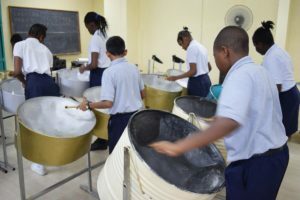 In addition, emphasis is placed on music (the steel pan- our national instrument- recorder, guitar, and choir), dance, drama, cooking, art and craft, and other areas of personal enrichment. Costa’s and Kellick’s 16 Habits of Mind are woven throughout the curriculum, as we recognize the importance of developing competences in reflective thinking in each of our students. Embedded in our curriculum delivery is the application of assistive technology. This allows students with reading issues to access content that matches their intellectual abilities, instead of limiting their learning to materials within their reading abilities. This provides an extra level of support to those with more intensive reading and writing challenges. Text- to- speech software reads and highlights each word aloud to support the reading process. Acquire basic academic, prevocational and practical life skills such as speaking, listening, thinking, reading, writing, spelling and numeracy. These are incorporated into all areas of the curriculum. Acquire social skills to foster character development. We teach conflict management strategies, healthy relationships and respect for sexuality. We coach for healthy social interaction and appropriate conversation. Maximize their potential in the creative arts, since many students with academic limitations succeed in this area. Expand their ability to interpret and apply learned skills in real life situations. Annually a small group of students return to mainstream schools and perform successfully on national examinations at the primary and secondary level. Today, most of our graduates are self-sufficient adults effectively contributing to society. Repeating letter sounds, assembling puzzles, sorting cards, writing on plastic grids, and playing interactive games on tablets are just some of the activities you’ll see in the Junior school. At this level, our students have fun-filled days as we aspire to meet their academic needs, build their self-esteem, encourage their sense of curiosity and motivate them to delve into the fascinating world of learning. Using the strategy of a rotation cycle, adopted from The Howard School in Atlanta and adapted to meet our students’ needs, teachers provide small group, direct instruction in the areas of phonics and phonemic awareness, creative writing and computer literacy. Emphasis is placed on Physical Education, Cookery, Music and Movement, Environmental Studies, Art and Craft, Library Skills and Character Education. 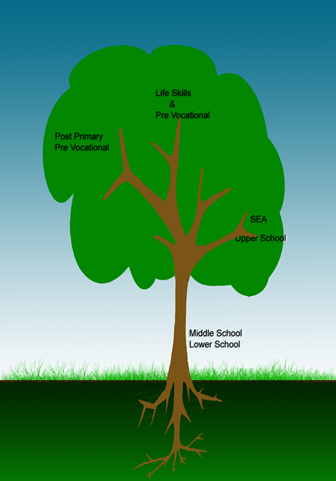 At the middle school level, teachers recognize, accept and accommodate all students for their unique developmental characteristics. This is done by creating a school culture of “family” and providing a technology-based intervention. At this level, students age 8 to 12 participate in all areas of the curriculum including pan, recorder, cooking and various clubs. Teachers team teach, and collaborative planning forms an integral part of our system. The Upper Level School consists of 4 classes, ages 10 to 14 years. 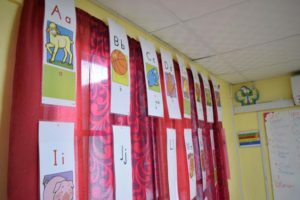 These classes reflect a typical regular school however students may have deficits in one or more of the following, receptive language (listening and reading), language processing (thinking, conceptualizing), expressive language (talking, spelling, writing), mathematical computations. They have the potential for academic learning, independent social adjustment and economic self- support. Their functioning level ranges from an ending Standard 2 to Standard 4. 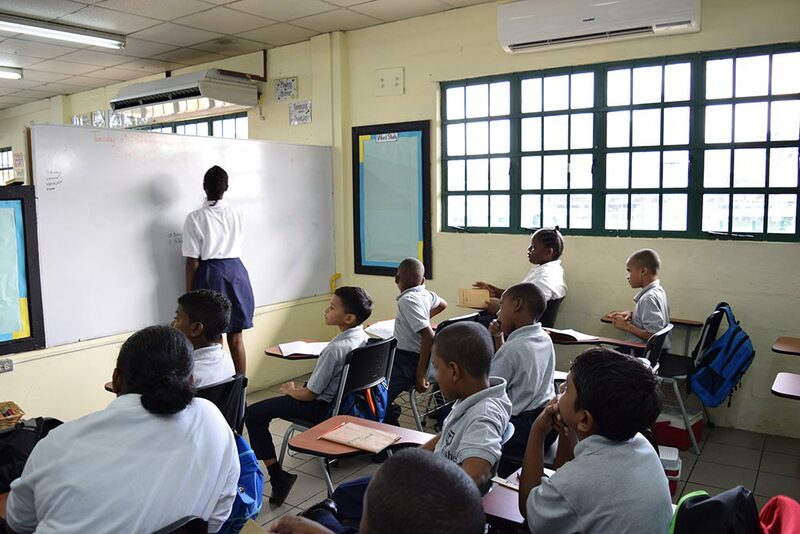 The Trinidad and Tobago Ministry of Education’s curriculum is the framework of our delivery, however Eshe’s unique methodology is incorporated in all our strategies. The word that best describes our curriculum is ‘ flexible’. 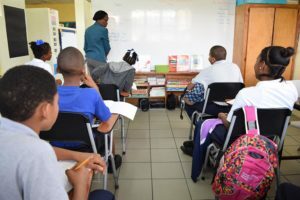 Our aim is to address different learning profiles with differentiated instruction while using the scope and sequence of the Memorandum Of Understanding’s curriculum. We are not the youngest. We are not the oldest. We are not the quietest. But we are the most energetic, the most skillful, the most witty, the most loving, the most willing, the most troublesome, the most intelligent, the most compassionate, the most challenging, the most loyal. Magnificent, Original, Self Assured, Talented and Gifted Upper School. Recognizing that some students are unable to move along an academic trajectory, Eshe’s includes Life Skills as one of its academic levels. Functional daily living skills are incorporated throughout the curriculum and include such topics as banking, comparison shopping, measuring and estimating in Math; reading bills and labels in Language Arts; and etiquette in Enrichment. Skilled tradesmen, as part of our part-time staff, teach woodwork, barbering, leather craft, cake decorating, sewing and home economics as pre vocational skills.